An anchor symbolizes many things. But for those looking to wear it as jewelry, it represents stability and strength. 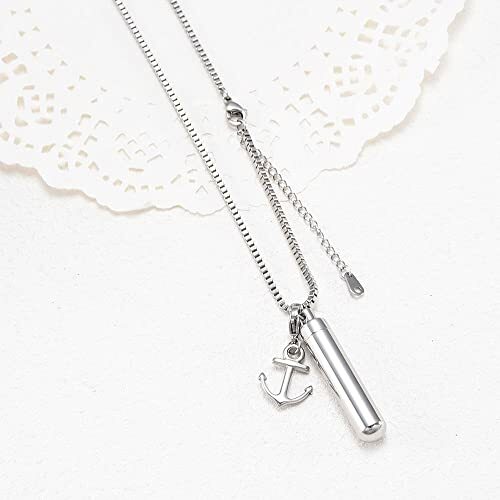 Using an anchor cremation necklace to hold the cremation ashes of someone you love shows that their spirit is there to keep you safe during long journeys. 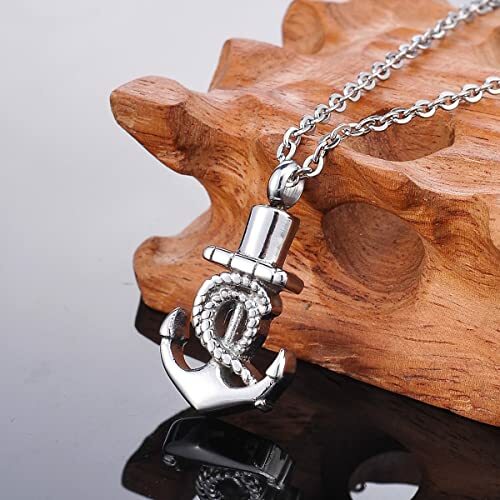 Below we listed popular options for anchor cremation necklaces. 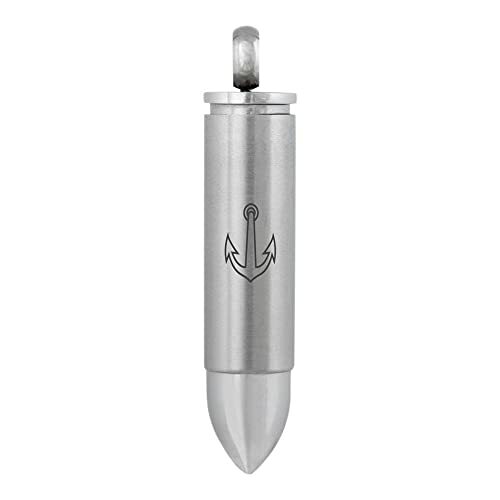 With each one, you will receive a funnel kit so that you can easily put cremation ashes into the anchor pendants. a small amount of cremation ashes or lock of hair. that can keep cremation ashes inside while you are wearing them! 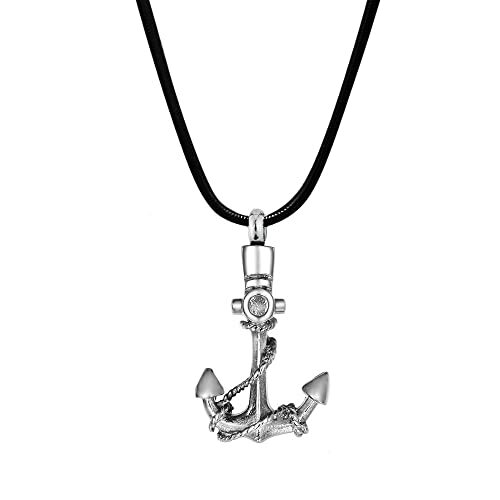 To learn more about each of the anchor cremation necklace click the images below! 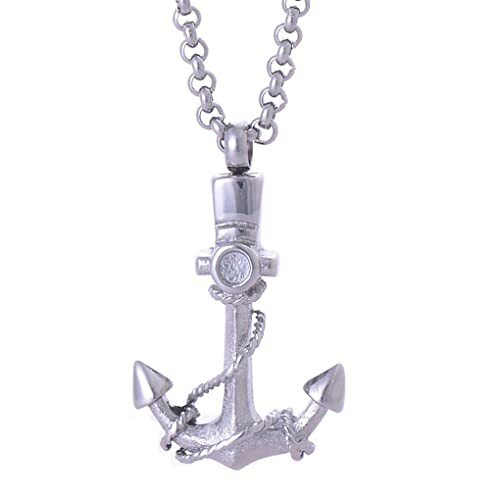 This anchor cremation necklace has rhinestones places throughout the front. This offers a bit of shine to the anchor. 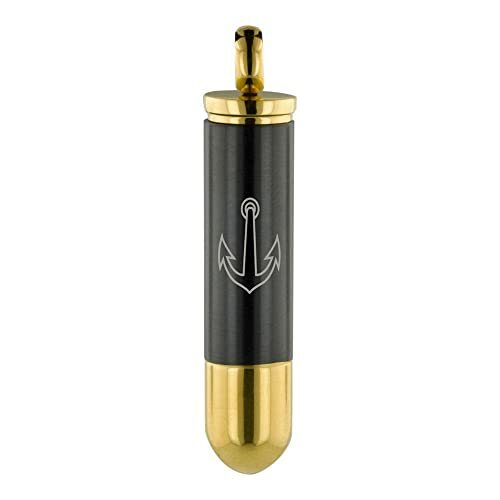 This bullet holds cremation ashes and has an anchor on it. One of the simplest designs here, this cremation is perfect to hold the ashes of your loved one. Another bullet designed cremation pendant. This one is in gold and black. 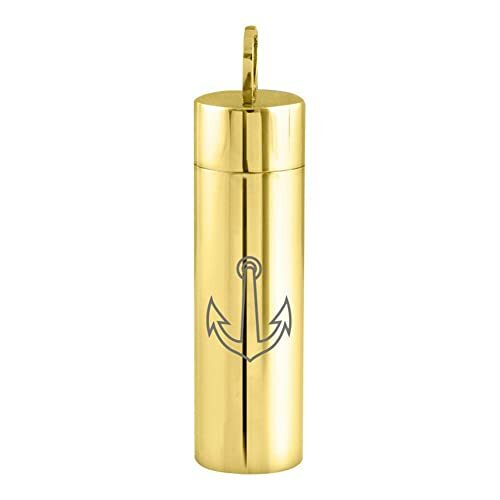 Simple in design, this gold cylinder is capable of holding a small amount of cremation ashes. 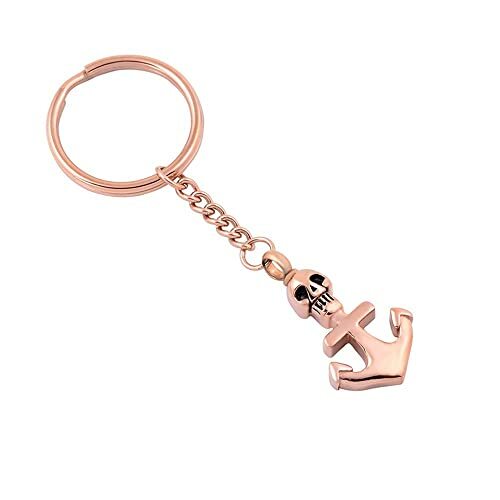 Featured in rose gold, this is another version of the anchor cremation pendant. 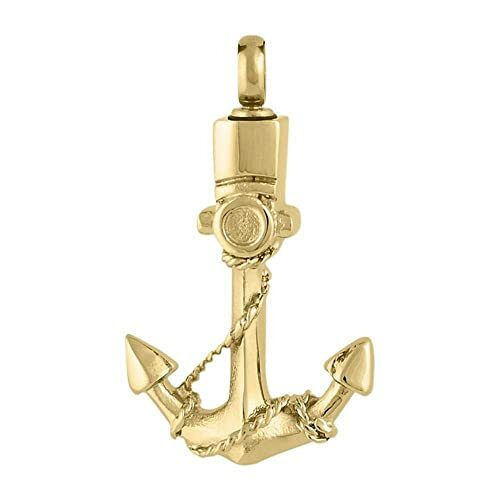 Another version of the anchor pendant, but this time in yellow gold. Although similar to the options above and below, this necklace stands out with its black chain. 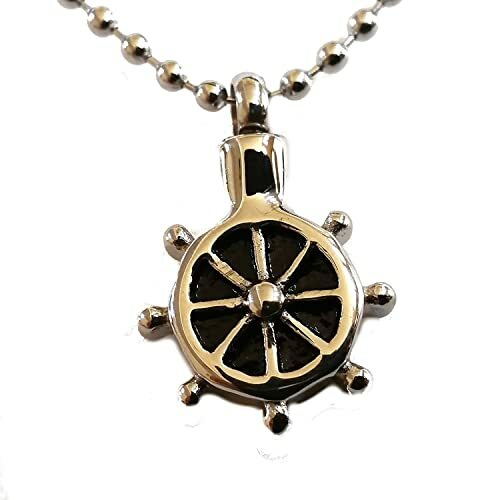 Taking a break from the anchors, this cremation urn necklace has a ships wheel to hold the ashes. If you are not a fan of wearing the ashes, you can keep them on your keychain. 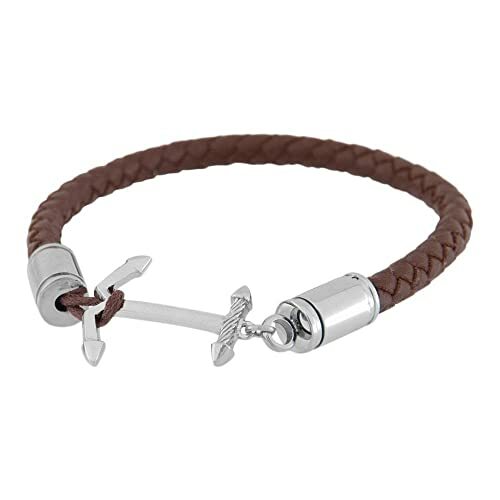 This bracelet features an anchor pendant that can discreetly hold cremation ashes. 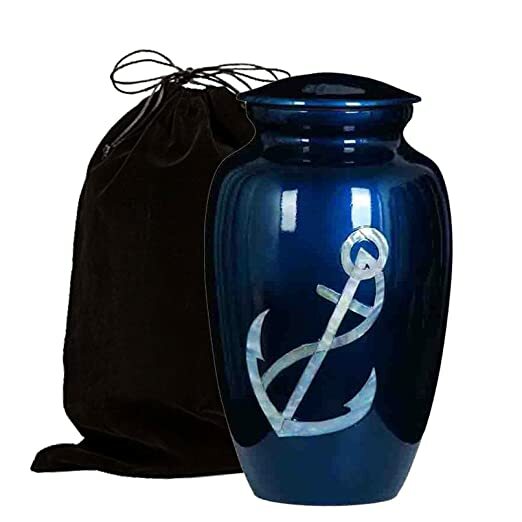 Place the full amount of human or pet ashes inside this anchor cremation urn. 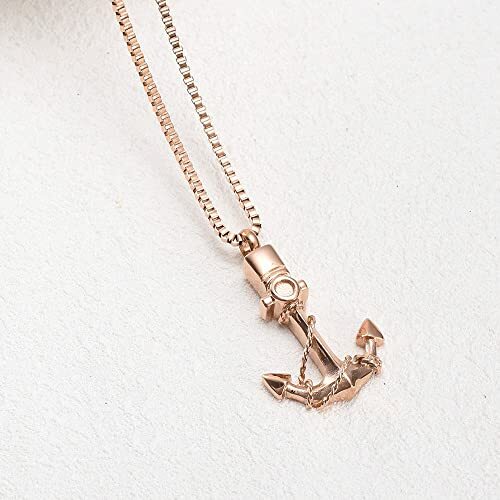 We know this is not an anchor cremation necklace. 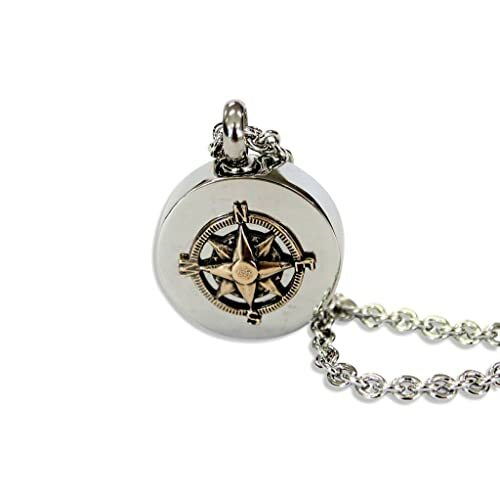 It is a compass and is perfect to hold the cremation ashes of someone that guided you through life. 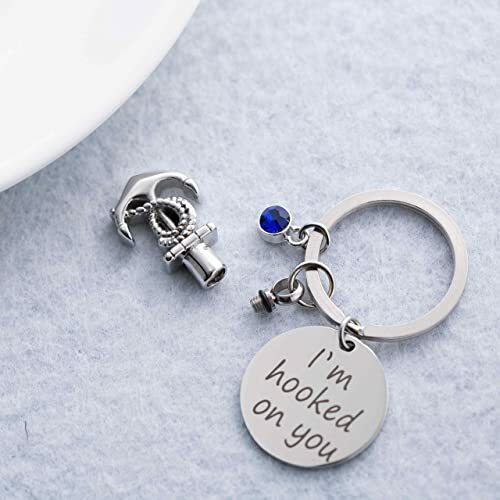 This keychain has an anchor to hold cremation ashes and the birthstone of the person who passed. Funeral Direct is the premier provider of cremation necklaces, urns, and other jewelry. Families shop not only because of the high-quality items but also because we have affordable, unique products that you will not find anywhere else. 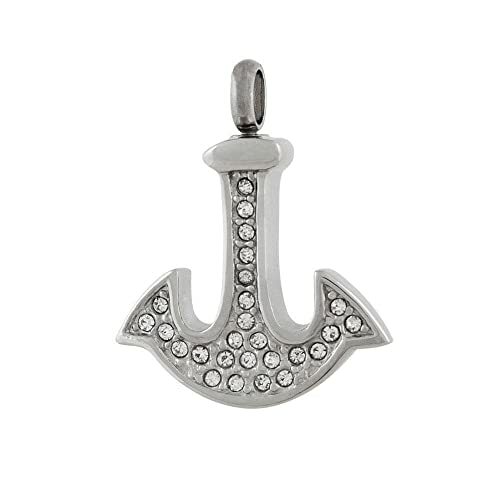 If you are looking for the perfect cremation necklace, urn, or any other memorial product to hold your loved one's ashes make sure to check out our options. Below are what other families are purchasing!